Different balls have different weights, Alex Rodriguez learned on Sunday. 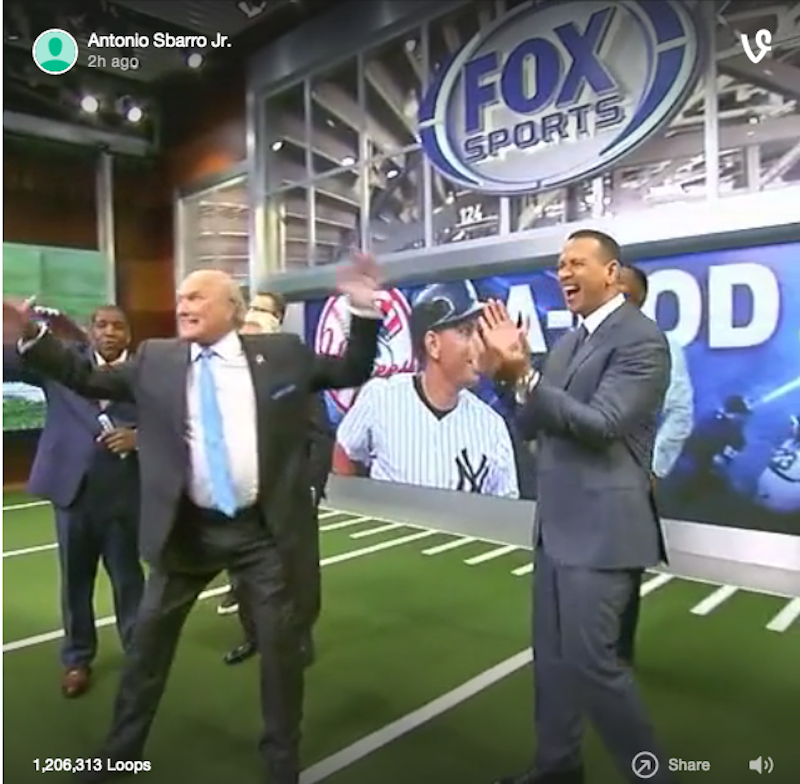 While doing a guest appearance on FOX NFL Sunday to promote his new role as an analyst for the rest of the baseball postseason, the New York Yankees infielder decided to prove his athleticism by throwing a football across the room. But, because it wasn’t the same shape and size as the balls he’s used to throwing, things didn’t go as planned. “A-Rod SMASH!” he thought, as the ball soared from his fingertips in a graceful arc right into a television. “A-Rod destroyed,” he muttered happily under his breath, surveying the wreckage with delight. Image via Vine/Antonio Sbarro Jr.